Lets meet VIP South Beach promo model Romy, modeling for 6 years Romy has been in many international publications and works hard to be one of the best in the modeling industry. In her free time she enjoys all types of sports including tennis, skiing and yoga. Romy also loves hanging out with her friends having dinner parties and going to the hot spots in the South Beach nightlife. Promotional modeling in Miami Beach keeps her quite busy during the season with all type of events and fashion shows. VIP South Beach Model Sabrina Nichole is originally from the small town of Mayo in North Florida Sabrina started modeling in Miami a few years ago while working her way through college. She is a journalism major with a minor in film/digital media. When she is not busy traveling on modeling assignments or in school she spends her time singing, writing and loves to fish. Sabrina is quite the catch she also knows her beer very well and is a craft beer enthusiast. Miami Promotional Models and Event Staffing. VIP South Beach Promotional Models Event Staffing Agency provides models for Trade Shows Brand Ambassadors and Fashion Show models. We have the best promotional models in South Beach Miami. Our promotional models are professional and reliable Miami models for all types of events including event staffing, trade shows, fashion shows and all special events including hotel, restaurant and club opening and bar, nightlife promotions. South Beach is all about nightlife and the beautiful models are a big part of what made the South Beach nightlife scene popular in the late 80’s and early 90’s. Our beautiful Miami Beach promotional models will ensure your promotion, brand or restaurant or nightclub opening with be an amazing one. Miami Beach has many annual events and big need for promotional models and brand ambassadors which include the prestigious Art Basel Art Festival. The Winter Music Conference, Ultra Music Festival, The Miami International Boat Show, Miami Fashion Week, The Miami Open Tennis Tournaments.The Mercedes Benz Fashion Swim Week, The Miami International Auto Show, Funkshion Fashion Weeks, The Food & Wine Festival. VIP South Beach Promotional Model Of The Month Tiana was born and raised in south Florida and is of Hawaiian and Italian descent. She graduated Florida State University with a degree in communications. In her spare time she enjoys weight training, cooking and competing in fitness competitions as you can see from her amazing physic! VIP South Beach offers the best Miami promo models for Event Staffing providing models for Trade Shows Brand Ambassadors and Fashion Shows. 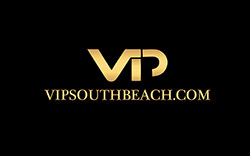 VIP South Beach is Miami Beaches premier nightlife concierge service specializing in nightlife guidance and reservations with the best nightclub bottle VIP tables and pricing. Also offering nightclub packages that include an open bar, limo transfer to South Beaches best nightclubs were you will be hosted right in like a celebrity. We will make your bachelor-bachelorette party or corporate event the best it can be. Contact VIP South Beach today for your ultimate South Beach experience! VIP South Beach Model Of The Month Tanya started in the fashion scene a few years ago and her Miami Beach modeling career brought her to South Beach where she has been doing photo shoots with the best Miami Beach photographers for editorial, fashion and lifestyle magazines/catalogs and walking down the runways for top designers. Tanya has a Mediterranean background and speaks two other languages which include Turkish and Spanish. She loves living in Miami Beach and enjoys water sports and hits the gym daily. There are many very good reputable Miami Beach modeling agencies out there but finding the right modeling agency that is best for you can be overwhelming. The most important thing is making sure you find a good reputable Miami modeling agency that is very excited about representing you and really likes your look. That’s how you will know that really believe in you and will do there very best in promoting you to there clients. When you are just starting out in the modeling industry its takes a lot of effort to get the right pictures that represent you the best for all the different types of modeling jobs in the fashion industry. You will need to shoot with many photographers and get many looks in your portfolio including fashion shots, swim wear, catalog and commercial shots. The right pictures will promote you to all types of modeling jobs in the industry. If you need a photographer that specializes in building model porfolios and composites Miami Beach photographer JBow Photography has 20 years of experience in the modeling and fashion industry and will insure you have the right type of pictures that agents and clients are looking for. Modeling can be a very rewarding career but it does take a lot of work, patience and most of all perseverance. Promo Models, Brand Ambassadors, Trade Show and Fashion Show models. Agency Approved Photographer, Specializing in model portfolios and composites. VIP South Beach Promotional Model Yana is from the Ukranie and has been modeling in Miami Beach for a few years and is doing great work for many international magazines and advertisements. She loves the Miami weather and stays in great shape taking dance classes and going to the gym. Yana is on her way to becoming a very well know model in the fashion industry. VIP South Beach Magazine is your insiders guide to the best of South Beach and Miami covering the amazing nightlife including the best events, hotels, restaurants, bars, lounges and nightclubs. We will also be covering the Miami Beach fashion industry there are plenty of great fashion events including the popular Mercedes Benz Fashion Shows for Swim Week with amazing fashion shows and top swim wear designers coming from all over the world. If you are a model and interested to doing promotional model work in Miami please contact us at 305 804 5071.